The weekend before last, thanks to Carla and New Balance, I went with a group of running blogger friends on a guided sightseeing run in London with City Jogging Tours. We joined their Royal London Parks and Palaces Tour starting at St James’s Park tube station and took in 4 Royal Parks, Horse Guards for the changing of the guard, The Mall, Buckingham Palace, Serpentine, Princess Diana Memorial fountain and the Albert Memorial to name a few and finished in front of Kensington Palace. The run was about 4 miles (7K) and run at an easy chatting pace with plenty of stops to discuss the landmarks along the way and allow runners at the back of the group to catch up. We were led by Amy an experienced runner and as we found out at the end pretty quick (as in elite start) marathon runner. 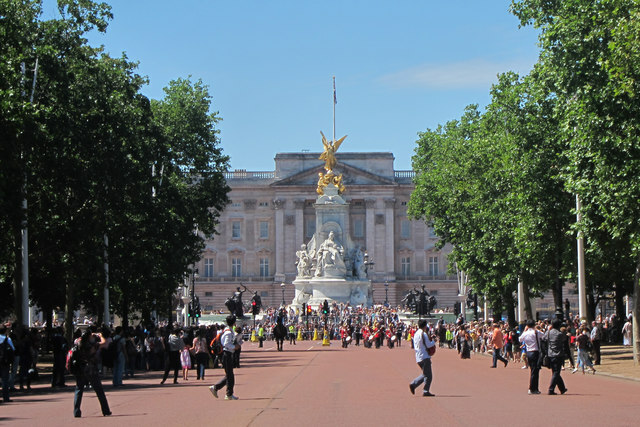 This tour is a great one for visitors to London but possibly not the most exciting of their tours for me because Hyde Park and Kensington Gardens are where I spend many an hour running or at BMF classes. However our guide was very knowledgeable and told us about landmarks, statues, monuments and the Royal Parks so I actually found out a few new things about my running neighbourhood. City Jogging Tours also have tours of Riverside London, Iconic London landmarks, Primrose Hill and Regents Canal, Maritime London and Hampstead Heath. 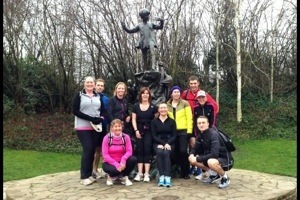 They vary from 7 to 10K, for recreational runners or gentle jogs as scheduled group tours or bespoke tours. Definitely a great way of combining sightseeing with a running workout for visitors to London and great fun for Londoners too. New balance also kindly sent us all a pair of one of their new models of running shoes. 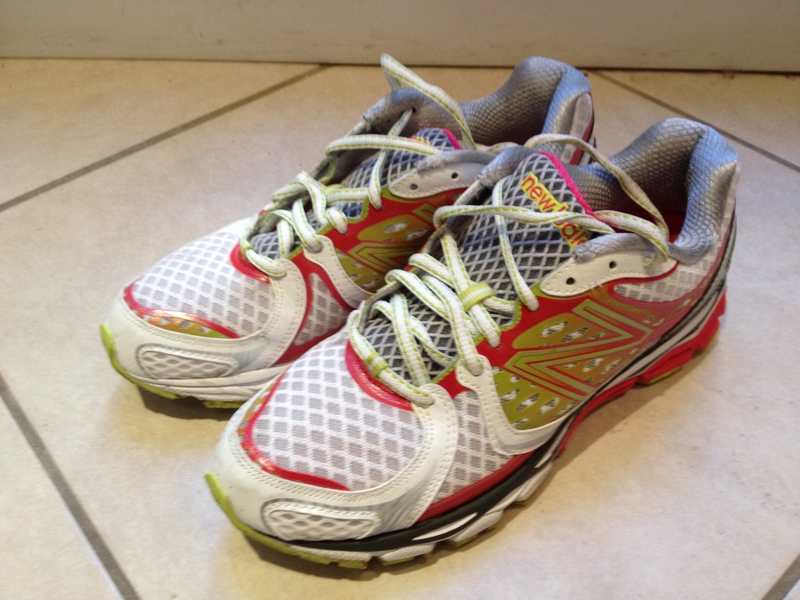 I received a pair of their new cushioned model, 1080v3. I have to admit that these are the first pair of New Balance running shoes I’ve ever tried. They are soft and cushioned, without being too spongy with a very plush heel counter. I am impressed how lightweight they are and that New Balance has lowered the heel a bit. They were great straight out of the box for the tour plus a few miles home. I haven’t run in them much more since seeing as they are pretty and white and I would like to have one pair of running shoes which are not caked in mud, but they will join my shoe rotation this summer. I think they will be a great warm weather long distance road shoe. 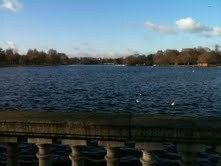 Categories: Product review, running | Tags: City Jogging Tours, Hyde Park, Kensington Gardens, London, New Balance, New Balance 1080v3, Royal Parks | Permalink. I did a City Running Tours in Boston last summer. I live in the area but it was fun to run past stunned tourists and learn a little bit about Boston as we ran. If you are a runner I think this is a great way to see a new city. Our run also concluded with a tour and tasting at Harpoon Brewery! HooA! That sounds like my sort of tour! Love that to your it was an easy run and to me it was a speed session and yet we both enjoyed it! Hmmm,shoe rotation…there’s something I hadn’t thought about.Love the tour/jog idea too. The tour sounds brilliant. What a great idea.